Philosophy: Simple, Fast & Light! 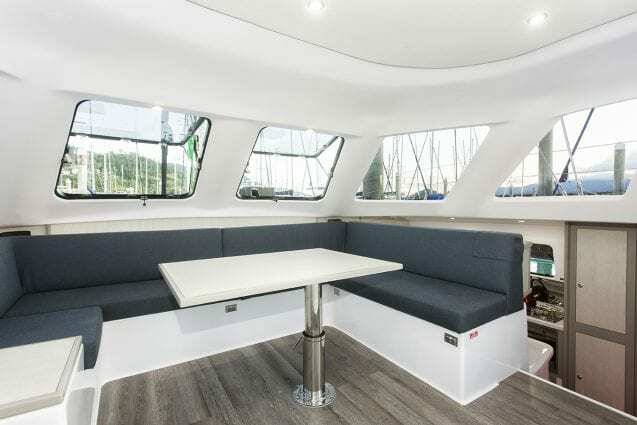 One of the most noticeable differences on board the Seawind 1160 3 Lite is the new sleek interior design and fit out. The fit out is stylish timber look laminate surfaces, with a new contemporary neutral colour palette with the upholstery modern, angular, yet practical. The galley features an upright fridge/freezer and 3 burner stove, offering ample storage with ring lockers, a handy shelf and plenty of cupboard space. For sailing performance; a full batten main. For easy sailing; all ropes are led to the cockpit, she has a roller furling, self tacking headsail and twin steering. Suitable for one to three couples, families and mixed groups. She will also perform equally well under power alone. This is a well designed boat. We liked that it had full automation, nice open space, auto pilot, very useful navigation systems, battery, solar panels + indications. We'll be back! 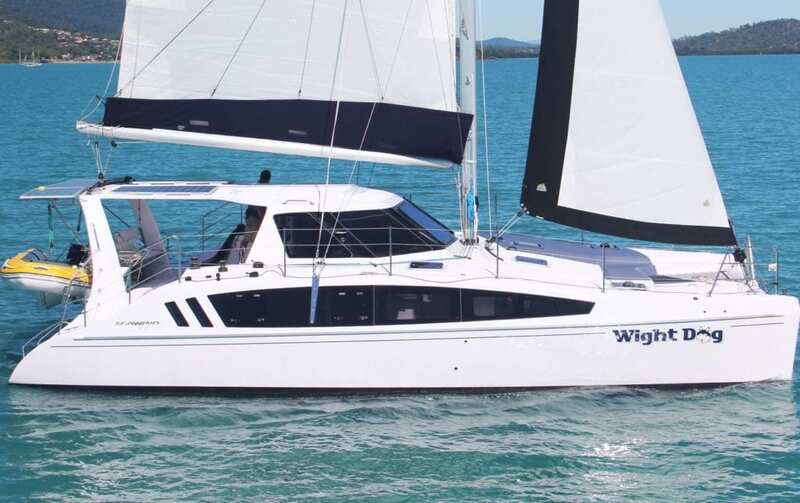 74 magical islands that make up the Whitsundays, what better way than to charter your own 38 ft Seawind 1160 3 Lite catamaran named ‘Wight Dog” just the 2 of us and sailing away into the sunset! We head off blue sky with slight breeze, the kind of day you only dream of! Basking in the sunshine enjoying each other’s company while we sip on champagne and eat some of the best seafood, while listening to the water lapping on the side of the catamaran such a soothing sound. We both look at each other and without talking – “We are living the dream”. As we pull into Nara Inlet we see a glorious rainbow that seemingly spans the entire bay, with a couple of boats looking as if they’re sailing right beneath it. The fresh smell of coffee beans in the morning made us rise and really appreciate the beauty and spectacular sunrises and sunsets that shine between the hill tops of our majestic islands. Swimming and spotting turtles and zipping around on our dinghy catching fish around Double Bay and Whitsunday Island. The team at Whitsunday Escape one person who stands out and deserves so much praise for her dedication and hard work is Ashley who helped us with our booking. Ashley really is a shining star and goes above and beyond in her role. Tom was great too went through the briefing of the catamaran and also spent a few hours teaching us how to sail. We thank the entire team at Whitsunday Escape! The Seawind 1160 is simply the best ventilated boat, with wide open saloon & cockpit great for entertaining.